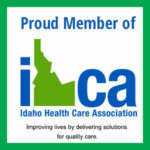 CASCADIA OF BOISE IS A 52,000 SQUARE FOOT HEALTHCARE RESORT PLAZA DESIGNED WITH THE COMMUNITY AT THE FOREFRONT OF EVERY DECISION. CONVENIENTLY LOCATED LESS THAN A MILE FROM THE BOISE CAMPUS OF ST. ALPHONSUS HOSPITAL. CASCADIA OF BOISE HOUSES THE ONLY NEUROGYM IN IDAHO. GET MORE INFORMATION ON OUR FULL-TIME NURSING CARE FACILITY.